I’m starting this review in a position of turnabout. 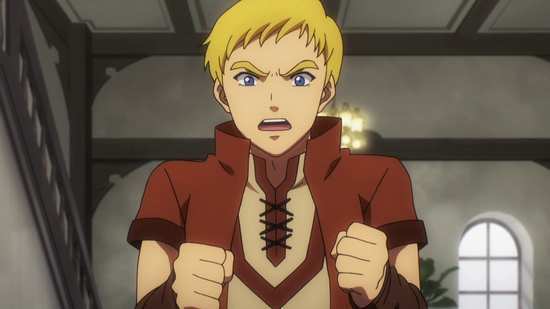 When I reviewed season 1, I may have facetiously mentioned an expectation for a WWII anime drama, only to be disappointed that it was another ‘Overlord’. 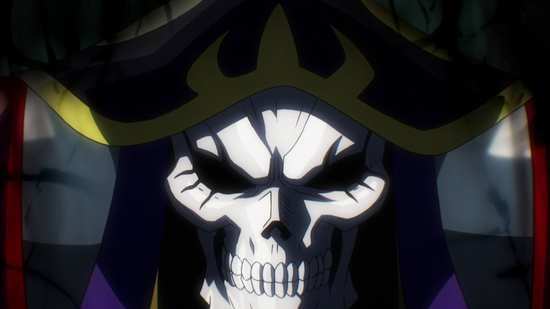 But having experienced a few interesting isekai (lost in another world) shows, I certainly didn’t feel negative towards the idea of Overlord. 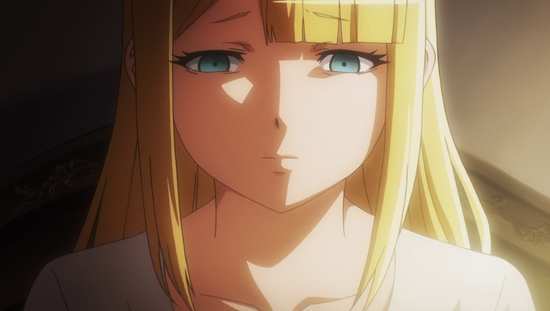 In the end however, the show failed to impress me, and in fact fell down on a couple of weak points. This time then, I’m approaching the sequel with negative expectations. But the sequel really only has to do one thing to get my attention, do something about the overpowered main character. And from the opening episode of this second series collection, it looks as if it does just that. In the mid 22nd Century, the Dive Massively Multiplayer Online Role Playing Games have a great popularity, literally immersing players in fantastic worlds. After 12 years, the Ygdrassil game is coming to an end, its servers being shut down. For one player, Momonga, it’s the end of an era. It’s a game that he and his teammates have excelled at, have in some ways defined, and unwilling to say goodbye, Momonga decides to stay logged in until after the servers are switched off. The last of his teammates log out and all that’s left in the castle that they created is Momonga, and the non-player characters that he and his team programmed. He has one last goof, reprogramming the ‘bitchy’ Albedo character to instead love him unconditionally, and then waits. The hour comes and passes, and the world still exists. Only it has changed. No longer can Momonga access the ‘game’, and suddenly the NPC characters have personalities, are acting of their own volition. Momonga’s trapped in Ygdrassil, albeit lord of all he surveys. Only he’s not in Ygdrassil anymore. 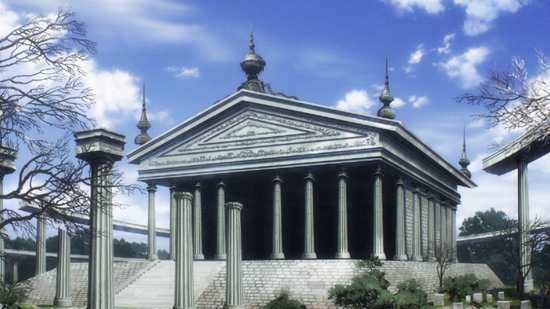 The castle has changed location, it’s in another world altogether, with a whole bunch of other people, and there’s Momonga with godlike powers. What’s a god to do? 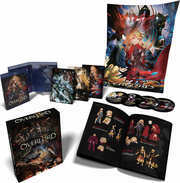 13 episodes are presented across 2 Blu-rays from Manga Entertainment, which at this time are only available in Limited Edition form, exclusively from Zavvi’s online store. Overlord gets a 1.78:1 widescreen 1080p transfer on these discs. The image is clear and sharp throughout, with strong, consistent colours, no visible artefacts or aliasing, and just the minimal of digital banding. 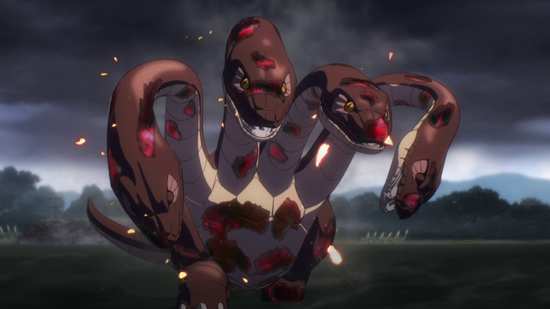 The consistency of HD transfers is one thing, the quality of the original animation is another, and coming from studio Madhouse, you’d expect Overlord to be something memorable. Instead, it’s really just... good. The character designs are nice and memorable, especially the main cast, while the world design is suitably fantasy oriented. The animation too is robust, characters staying on model, and the appropriate flourishes applied to action sequences and bursts of magic. Maybe I’m getting spoiled, but Overlord doesn’t really stand out as anything special. Overlord gets the usual Dolby TrueHD 5.1 English and 2.0 Japanese from Funimation, with subtitles and signs locked to the appropriate track. The Japanese audio is fine, characters cast appropriately for their stereotypes, and the performances working well in terms of the story. I gave the dub a try, and I can confirm that it exists, but I didn’t sample enough to develop an opinion. The subtitles are timed accurately and are free of typos. The discs present their content with animated menus, and I’ve only seen the BD check disc, and can’t comment on the packaging or the physical extras. There are two commentaries on this disc, one on episode 3 with ADR Director Kyle Phillips, Chris Rager (Zenbaru), Amanda Lee (Crusch), and Josh Bangle (Sharyusu), the other is on episode 6 with Kyle Phillips, Bill Jenkins (Sebas Tian), and Mallory Rodak (Solution Epsilon). Disc 2 has quite a few goodies to partake of. Overlord II at Anime Expo 2018: A Message from Minoru Ashina lasts 3:06. 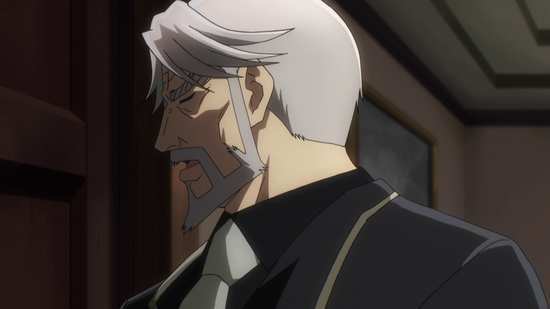 Overlord II at Anime Expo 2018: Interview with Kugane Maruyama & Naoyuki Itou lasts 8:21. There’s some SD comedy to enjoy in Play Play Pleiades 2 which lasts 21:29. The Special Preview Collection lasts 6:56 and the Chapter 1 Preview is prevented separately runs 32 seconds. You get the Promotional Videos which run to 3:23 and 1:06 of Commercials. Naturally there are the textless credits. That was a surprise! 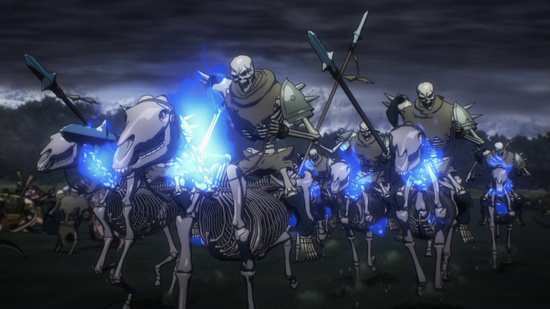 I actually enjoyed Overlord II, a fair bit more than the first series, and I’m hard pressed to tell you why. After all, despite a few red-herring moments in the first episode of this collection, it doesn’t really do much that is different from the first season. 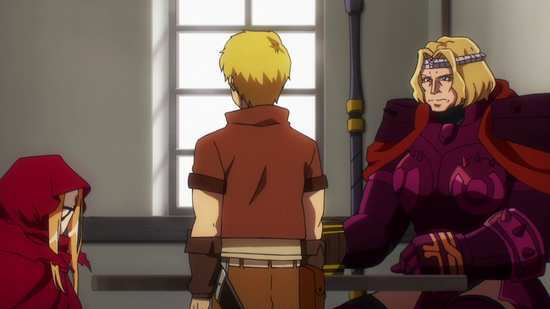 It might begin with hinting at some suitable opposition for Ains Ooal Gown/Momon/Momonga, but that opposition never materialises in this season, there’s no threat to his overwhelming godlike superiority, and indeed, where the first series had the spectre of him losing control of his minions (as in what happened to Shalltear), that doesn’t even happen in these thirteen episodes. 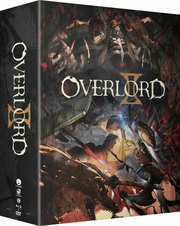 One thing does become clear; Overlord is in it for the long game. Indeed, one of the commentaries begins with reference to dubbing season 3, which will no doubt be forthcoming in the near future. So what we get here in terms of the overall picture is a slow build, gradually introducing the characters and the world, setting up the story, and developing it with a measured and reserved pace. 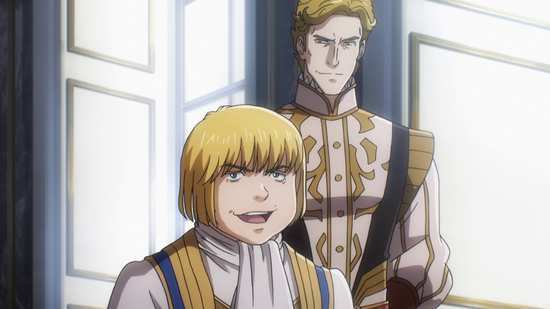 The second thing, and for me an obvious improvement over the first season, is that Ains Ooal Gown actually takes more of a back seat in these stories. His minions drive the two story arcs that we see here, stories which on an individual level are interesting and entertaining, and you can invest in the characters, as you can see that they have more to gain and lose from what they have to face. 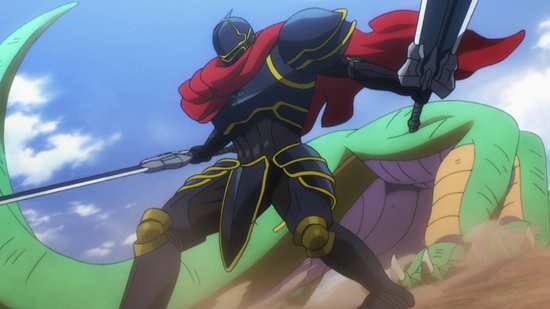 Ains Ooal Gown is still sneakily establishing himself as a power in the region, playing both sides against the middle, appearing as a hero in the form of the powerful dark knight Momon, and at the same time acting as villain by sending his minions out to attack and harass the weak and vulnerable. He’s also still testing the limits and loyalties of his guardians, the NPCs from the Ygdrassil game who woke up to more in the way of free will and personality when they entered this world. 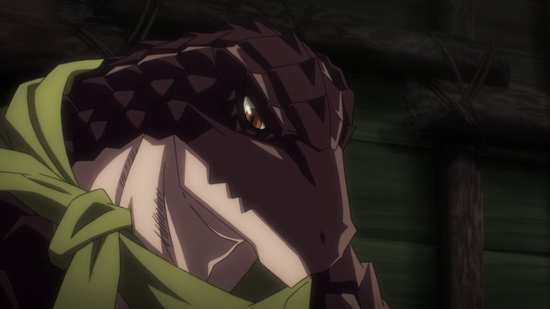 The first half of this collection sees Ains send Cocytus out to eradicate a nation of Lizard Men, a group of tribes living in uneasy coexistence. By challenging them, he drives the Lizard Men to co-operate and unite, to fight back against overwhelming odds. This might be the hardest part of the show to empathise with. It’s hard to invest in the plight of Lizard Men, but the story works well to develop their characters, tell the tale from their point of view, and even throw in a little Lizard romance to get all gooey about. While Cocytus learns to think outside of the box, and Ains winds up showing his godlike strength again, it’s because the story is told from the other perspective that it’s easier to enjoy than those arcs of the first season. 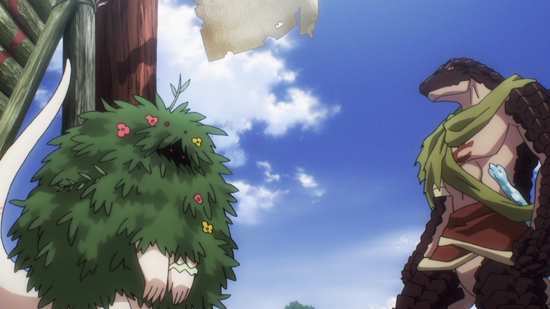 The same can be said for the second half of this season, which begins with Ains’ butler Sebas in the royal capital encountering a girl being thrown out like trash, a girl that he uncharacteristically decides to rescue. It’s a window into the criminal underworld of the city, an organised crime group that has its fingers in every pie, including some in the royal family. One royal, a seemingly dainty Princess named Renner is actually acting against Eight Fingers through the Blue Rose group of adventurers, and her loyal guard Climb. Things get interesting when Climb encounters Sebas, and both wind up working against Eight Fingers. Of course Ains needs to shift things in his favour and has his own plans against the criminal group, but once again things get complicated. I think I’ve sussed out the best way to enjoy Overlord. 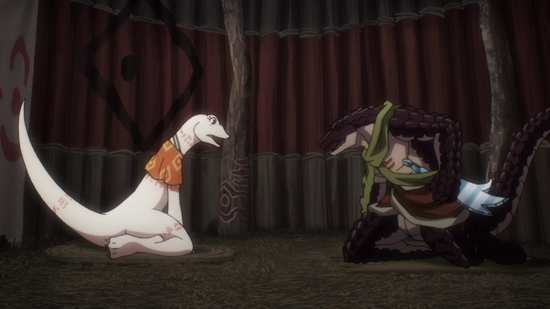 It’s best to treat Ains Ooal Gown as a force of nature, and the more interesting aspects of the story comes in how the people of the world deal with that force. It’s the other characters that are interesting, and the smaller stories that are more entertaining. Ains really only delivers in terms of comic relief, and at this point in the series, there still is no sign of a counterforce of nature that will challenge Ains; to make his story interesting. 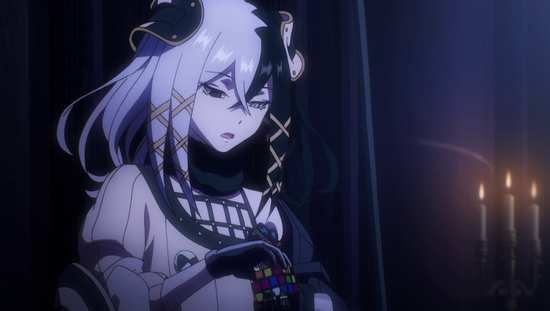 In terms of AV quality, the second season of Overlord is on a par with the first, but as it steps away from the titular character more, it’s actually more fun to watch. I still don’t get just how it is such a big splash in the anime world, a show that deserves a shop exclusive Limited Edition in the UK, but it doesn’t feel like a drag anymore.